Stop spilling your wine and avoid messes with this handy wine pourer from Outset. This pourer features a straightforward design and uses a black wooden stopper to seal itself into the bottle's neck. 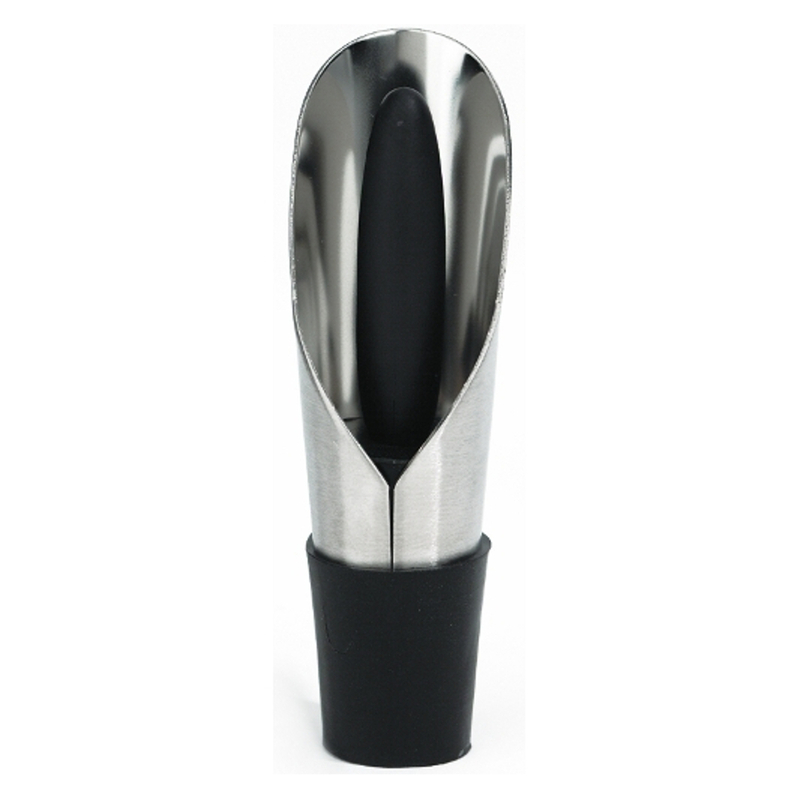 The stainless steel tip funnels the wine for the perfect pour. It is designed to resist dripping and leaking, so your wine ends up in your glass and not on the floor.